U.S. health officials say 12 states now have respiratory illnesses caused by an uncommon virus — enterovirus 68, or EV-D68. Centres for Disease Control and Prevention officials say Alabama, Colorado, Illinois, Indiana, Iowa, Kansas, Kentucky, Louisiana, Missouri, New York, Oklahoma and Pennsylvania together have 130 lab-confirmed cases. All are children. The virus can cause mild to severe illness, with the worst cases needing life support for breathing difficulties. Kids with asthma have been especially vulnerable. No deaths have been reported. The strain is not new but only a small number of labs can test for it. Since mid-August, there’s been an unusual spike in identified cases. The CDC has tested more than 200 specimens from more than 30 states. Investigators say it’s not yet clear what triggered the outbreak or whether it’s worsening. The soda craze is going flat–at least, according to a new Gallup poll, which found that almost two-thirds of Americans actively avoid soda in their diet. 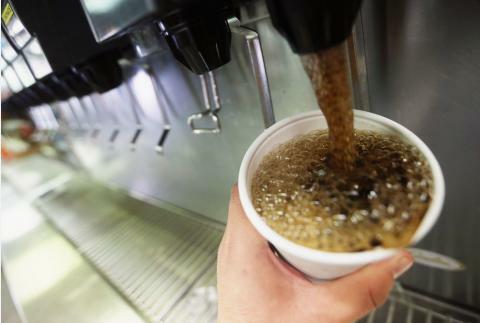 While 41% percent of those polled in 2002 said that they try to steer clear of soda, that number has now jumped to 63%. Gallup’s poll shows that generally Americans are making more effort to have healthier diets. More than nine out of ten Americans try to include fruits and vegetables in their diets, and 52% said that they are trying to avoid sugars. The US government has reviewed the progress of the National HIV-AIDS Strategy in the past four years, and has announced new funding to fight the scourge, media reported Wednesday. In a report released by the White House, the Department of Health and Human Services will invest $11 million to fund the Community Health Centres’ to help communities highly affected by HIV, Xinhua reported. “This initiative, funded through the Affordable Care Act and the Secretary’s Minority AIDS Initiative Fund, aims to build sustainable partnerships between public health and health centres to help achieve the goals of the strategy,” the report said. In addition, the government will expand investment in research to address gaps in the HIV Care Continuum, including investigations of the effectiveness of methods to identify HIV-infected people earlier and to provide them with necessary treatments. 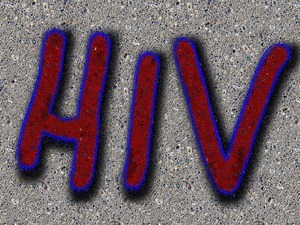 On July 15, 2010, US President Barack Obama released the first comprehensive National HIV-AIDS Strategy. This strategy envisions that “US will become a place where new HIV infections are rare and when they do occur, every person will have unfettered access to high quality, life-extending care, free from stigma and discrimination”. More than 7 percent of American schoolchildren are taking at least one medication for emotional or behavioral difficulties, a new government report shows. Apparently, the medications are working: More than half of the parents said the drugs are helping their children, according to the report. “We can’t advise parents on what they should do, but I think it’s positive that over half of parents reported that medications helped ‘a lot,’ ” said report author LaJeana Howie, a statistical research scientist at the U.S. National Center for Health Statistics. Howie and her colleagues weren’t able to identify the specific disorders the children were being treated for, although she said 81 percent of the children with emotional or behavioral difficulties had been diagnosed with attention-deficit/hyperactivity disorder (ADHD) at some point in their lives. The researchers were also unable to identify the specific medications prescribed to the children for their emotional and behavioral difficulties, according to Howie. An expert not involved with the report agreed that ADHD likely would be one of the most common conditions involved. 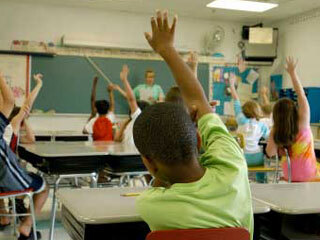 “Although the authors don’t really talk about the diagnoses, ADHD is likely the most overwhelming diagnosis. Oppositional defiant disorder, anxiety and depression are other likely diagnoses,” said Dr. Andrew Adesman, chief of developmental and behavioral pediatrics at Steven and Alexandra Cohen Children’s Medical Center of New York, in New Hyde Park. Overall, the researchers found that 7.5 percent of U.S. children between the ages of 6 and 17 were taking medication for an emotional or behavioral problem. Significantly more boys than girls were given medication — 9.7 percent of boys compared with 5.2 percent of girls. Older females were more likely than younger females to be given medication, but the age difference among males wasn’t significant, according to the report. White children were the most likely to be on psychiatric medications (9.2 percent), followed by black children (7.4 percent) and Hispanic children (4.5 percent), according to the report. The study found that significantly more children on Medicaid or the Children’s Health Insurance Program were on medication for emotional and behavioral problems (9.9 percent), versus 6.7 percent with private insurance and just 2.7 percent of children without insurance. Additionally, more families living below 100 percent of the federal poverty level had children taking medications for emotional and behavioral problems than those above the federal poverty level. Fifty-five percent of parents reported that these medications helped their children “a lot,” while another 26 percent said they helped “some.” Just under 19 percent said they didn’t help at all or helped just a little. Parents of younger children (between 6 and 11) were slightly more likely to feel the medications helped a lot compared to parents of older children. Parents of males were also more likely to feel the medications helped a lot — about 58 percent of parents of males reported that they helped a lot compared to about 50 percent of the parents of females. The report found that parents with incomes less than 100 percent of the federal poverty level were the least likely to feel the medications helped a lot. Just 43 percent of those parents said the medications helped a lot, while about 31 percent said they helped some. More than one-quarter of these parents said the medications only helped a little or not at all. For his part, Adesman said there are many factors that might contribute to more use of medications in people living under the poverty line and for those on government insurance programs. “There may be parenting challenges, such as more single-parent households, medications may be more available than access to behavioral treatments, there may be more logistical issues with nonpharmaceutical interventions, like getting time off from work,” Adesman said. “Many more families have access to prescription medications than to non-pharmaceutical interventions. There’s a lack of mental health treatment parity. DeVoe knows a thing or two about childhood and focus, for she is only 12 years old and just recently became a certified yoga instructor after completing 200 hours of teacher training. She is believed to be the youngest certified female yoga instructor in the United States. In addition to her pint-size students aged 4 to 6, DeVoe teaches teens and fellow tweens in her California beach town of Encinitas and is about to start a family yoga class. Oh, and she just told her dad she wants to look into making eco-friendly yoga mats. “I feel like I want to do this for a long time because I love teaching so much,” says DeVoe, the picture of a California beach girl, with long blond hair and long legs to match. But Jaysea is not alone in her entrepreneurial zeal. Her twin brother is a sponsored competitive surfer and works at a surfboard fin manufacturing company. Her 15-year-old brother is a “professional water man,” a spear fisherman, rod and reel angler and surfer who also teaches and has sponsors. Encinitas, 25 miles north of San Diego, happens to sit at the junction of laid-back beach life, high-octane sports and entrepreneurial gumption. Skateboarder-turned-businessman Tony Hawk and Olympic gold snow boarder Shaun White are both based in Encinitas. With so much opportunity around, the DeVoe parents, Rick and Julie, decided less time should be spent at school and found an accommodating institution for their kids’ plans. It’s not just grandma with a new hip and your uncle with a new knee. More than 2 of every 100 Americans now have an artificial joint, doctors are reporting. Among those over 50, it’s even more common: Five percent have replaced a knee and more than 2 percent, a hip. “They are remarkable numbers,” said Dr. Daniel J. Berry, chairman of orthopedic surgery at the Mayo Clinic. Roughly 7 million people in the United States are living with a total hip or knee replacement. He led the first major study to estimate how prevalent these procedures have become, using federal databases on surgeries and life expectancy trends. Results were reported Tuesday at an American Academy of Orthopaedic Surgeons conference in New Orleans. More than 600,000 knees and about 400,000 hips are replaced in the U.S. each year. But until now, there haven’t been good numbers on how many people currently are living with new joints. The number is expected to grow as the population ages, raising questions about cost, how long the new parts will last, and how best to replace the replacements as they wear out over time. The term “replacement” is a little misleading, said Dr. Joshua Jacobs, chairman of orthopedic surgery at Rush University Medical Center in Chicago and president of the orthopedic surgery association. What’s replaced is the surface of a joint after cartilage has worn away, leaving bone rubbing against bone and causing pain and less mobility. In a replacement operation, the ends of bones are removed or resurfaced and replaced with plastic, ceramic or metal materials. Arthritis is the main reason for these operations, followed by obesity, which adds stress on knees and hips. Baby boomers are wearing out joints by playing sports and doing other activities to avoid obesity. Knee replacement surgeries have more than tripled in the 45-to-64 age group over the last decade and nearly half of hip replacements now are in people under 65, federal numbers show. New York City health officials said Friday they are investigating an outbreak of measles that’s made at least 16 people sick. It might be part of a bigger national outbreak linked to the Philippines. Health officials are quick to declare concern when they see someone with measles, which is one of the most contagious human diseases. Although it was once seen as a normal childhood infection, it’s easily prevented with a vaccine. And it should be, because fully a third of patients develop complications from the virus, including pneumonia, miscarriage and brain inflammation that can put patients into the hospital or even kill them. About 90 percent of unvaccinated people will get infected if they’re exposed to it. New York health officials say four infected children were too young to have been vaccinated and that parents had opted not to have two others vaccinated. Measles was considered eradicated in the U.S. in 2000, but the nation has seen a recent uptick in cases caused by unvaccinated travelers who become infected abroad. Last year, at least 175 cases of measles were reported in the U.S., according to the Centers for Disease Control and Prevention. California has also been reporting an outbreak. As of last month, California health officials have counted 15 cases of measles in six counties. They declared an alert when an infected college student used the San Francisco area public transit system, and he was later shown to have infected two male relatives. Measles is a highly contagious virus that spreads when an infected person coughs or sneezes. Most people in the U.S. are either naturally immune to measles from having been infected or have been vaccinated against it. The CDC said earlier this week they had tracked 54 cases of measles in the U.S. so far this year, including a dozen in people who had recently traveled to the Philippines. 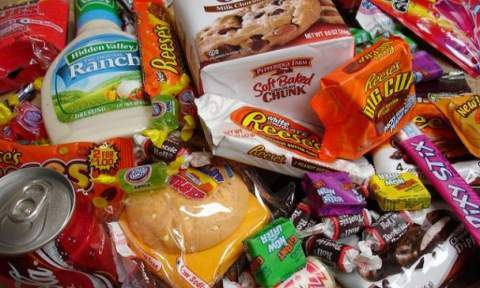 Nearly 500 foods found on grocery store shelves in the United States, including many foods labeled as “healthy,” contain a potentially hazardous industrial plastics chemical, according to a report issued Thursday by a health research and advocacy group. Azodicarbonamide, also known as ADA, was found as an ingredient in breads, bagels, tortillas, hamburger and hot dog buns, pizza, pastries, and other food products, according to a report by the Environmental Working Group, based in Washington. Some consumer groups have called for the removal of azodicarbonamide from use in foods. Fast food chain Subway said earlier this month that it was removing the chemical from its products, but stated that ADA is a safe and widely used ingredient for many foods. Azodicarbonamide is fully approved for use in food by the United States Food and Drug Administration and the Canadian Food Inspection Agency. But ADA is banned as an additive in Australia and some European countries. As a food additive, azodicarbonamide is used as a flour bleaching agent and as an oxidizing agent in dough to improve its performance for bakers. It is also used in plastics to improve elasticity and can be found in yoga mats and shoes. The World Health Organization states that epidemiological studies in humans and other reports have produced “abundant evidence that azodicarbonamide can induce asthma, other respiratory symptoms, and skin sensitization” to people working with the chemical. The Environmental Working Group said manufacturers should immediately end the use of ADA in food. U.S. Senator Charles Schumer, a Democrat from New York, this month called on the FDA to ban ADA from foods. The FDA states that azodicarbonamide can be used safely if the amount in flour does not exceed 2.05 grams per 100 pounds of flour or 45 parts per million. Talk about a surprise delivery. 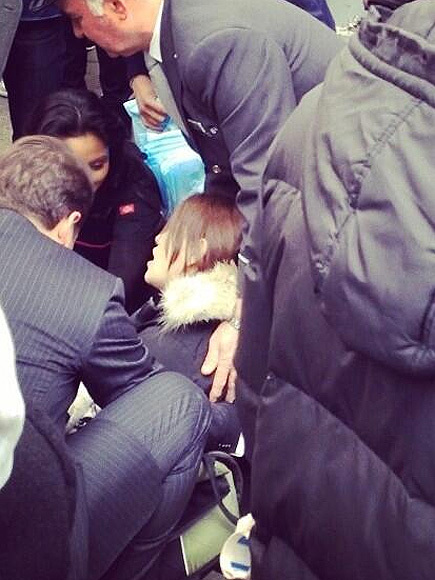 A New York woman in labor left her home to make her way to the hospital but the baby couldn’t wait. Robert King still remembers well the dimensions of his cell: 6 x 9 x 12 feet. There was a steel bed and a sink that doubled as a toilet where he would also wash clothes. 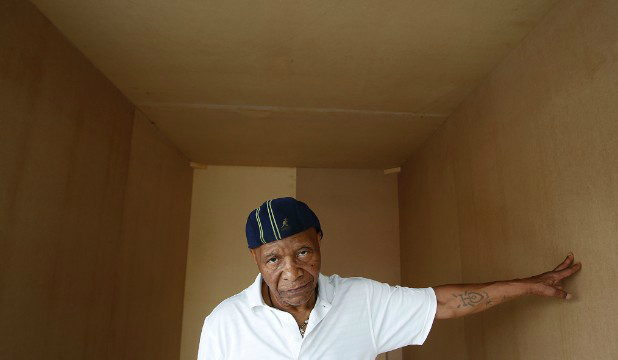 King spent 29 years in solitary confinement in Louisiana. He has been free since 2001, but still has difficulty with geographical orientation. “I get confused as to where I am, where I should be,” he said. King joined researchers and legal experts at the American Association for the Advancement of Science annual meeting in Chicago this month to talk about the mental and physical health consequences of solitary confinement. “The widespread consensus among mental health professionals is that solitary confinement, for the overall majority of mentally ill prisoners, places them at severe risk of additional harm,” said Craig Haney, director of the program in legal studies at the University of California, Santa Cruz. The talk was timely. This week, New York state agreed to several changes that would limit the use of solitary confinement for disciplining some groups of inmates, including those under 18 or pregnant women. The agreement stemmed from a class-action lawsuit. A department spokesperson said no statement was available on the general use of solitary confinement. There are about 80,000 people being held in some sort of solitary-type confinement in the United States, Haney said. Prisoners in solitary confinement tend to be restricted to cells of 80 square feet, not much larger than a king-size bed, Haney said. Sleeping, eating and defecating all take place inside that space. For exercise, prisoners in solitary confinement often get a short time in a cage rather than an outdoor yard — perhaps one hour per day. Haney, who has studied prisons and punishment for more than four decades, estimates that about one-third of people in solitary confinement in this country are mentally ill, although some prison systems do not permit mentally ill inmates to be placed in solitary confinement. Solitary confinement was used broadly in the 19th century, but the punishment was then largely abandoned because of the view that “it was doing more harm than good,” Haney said. Correctional practice began to reincorporate solitary confinement in the late 1970s and 80s, as prisons began to get overcrowded, Haney said. He believes prison systems turned to solitary confinement as a short-term solution to controlling disruptive or violent behavior, lacking the resources to provide positive incentives or programming. But overcrowding in prisons turned out to be permanent and mostly increased each year. Prison systems continued to struggle over what to do to resolve conflicts or stop violence or disruption in the institutions. They put more prisoners in solitary confinement and left them there for longer periods of time, Haney said.